Moroccan Outdoor Fountain﻿ handmade with zellig tiles, ideal for decorating the garden. Moroccan handicrafts of Marrakesh. Delivered on wheels equipped with an electric pump installed operating in closed circuit and a brass water fountain tap. 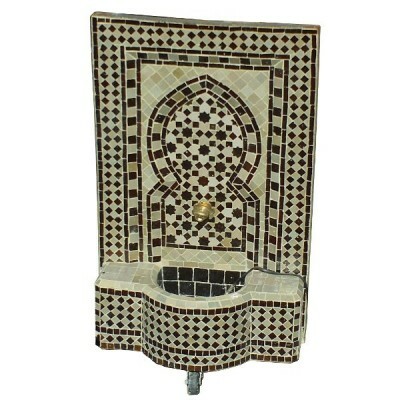 This fountain zellige can be achieved with the dimensions of your choice. Different models of fountain taps are available. For a custom fountain, please contact us.